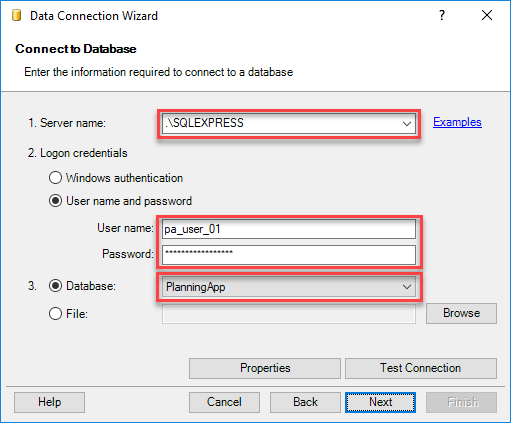 Fill-in the server name, your username and password, and select a database. Click Next. Select xls23.view_query_list_form in the Query List and leave all check-boxes checked. Click Finish. You may select parameter values here. Or just click OK.
You will see a dialog box to choose a cell to insert a table. You may use row 1 to place formulas and comments. You may use row 2 to filter rows using auto-filters. Just type filter values like >10000 or *CC11*. 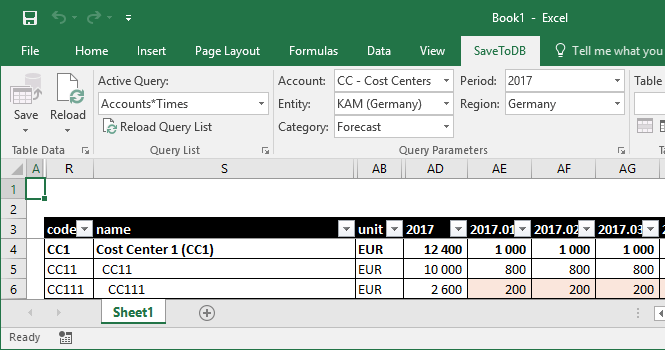 Delete the cell value to clear the auto-filter. You have an empty column A. The table looks better. 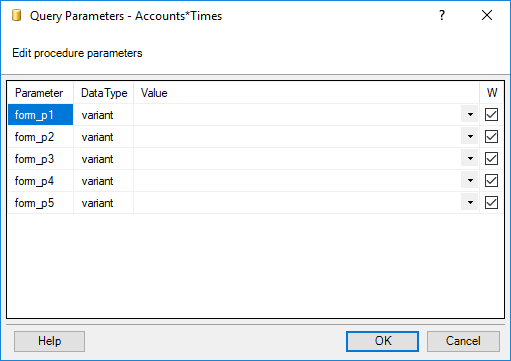 The wizard inserts a table, with empty data columns if you do not specify the parameter values. 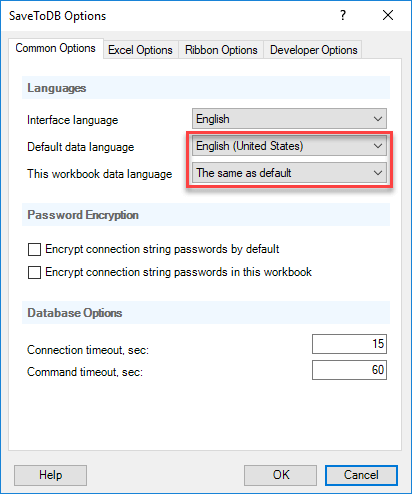 You see parameter names used in a database if you do not turn on the translation. Click OK. Then click Reload, Reload Data and Configuration. Select parameter values and voilá! You may edit highlighted cells. You may paste formulas into form cells. However, the application replaces them with values while reloading data. Place your formulas under the table. In this case, you may copy and paste values if the source data changed. You may use Undo (Ctrl-Z) to undo changes. Use Reload to reload data with newly calculated aggregates. You may select new parameter values using the ribbon. You may change forms using the Active Query drop-down list. 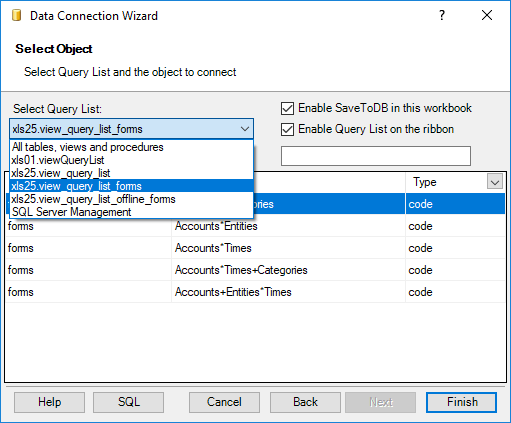 Use Reload Query List to reload the list and get new forms configured in a database. You may copy worksheets. Just copy the worksheet and click Reload, Reload Data and Configuration. Use Reload, Reload All Workbook Tables to reload all tables at once. 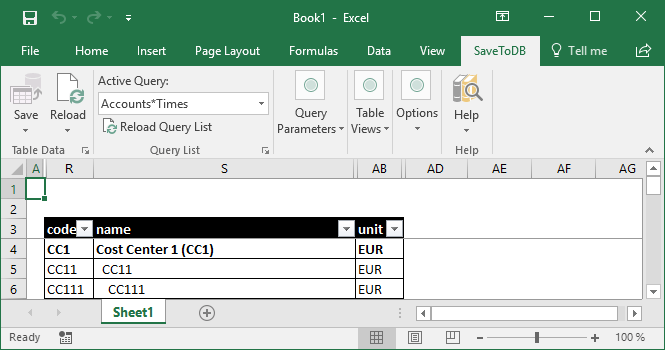 Sometimes, you may see incorrect column orders because of Excel adds new columns at the end. Just select an empty value in any parameter to clear columns and then select the desired value. You may change the default table formatting. 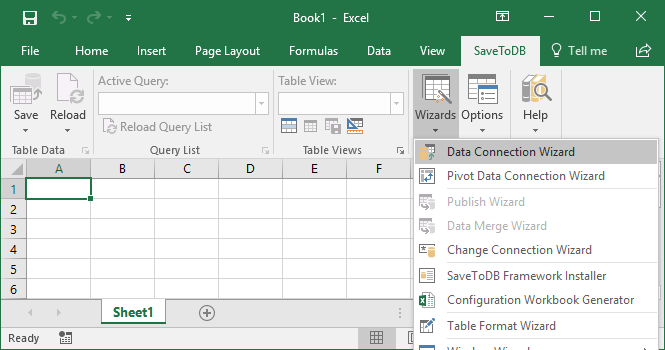 Use regular and conditional formatting Excel features. 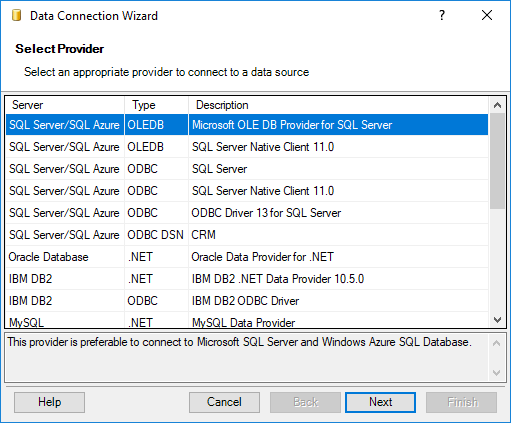 You may restore the default formatting from a database using Wizards, Table Format Wizard.